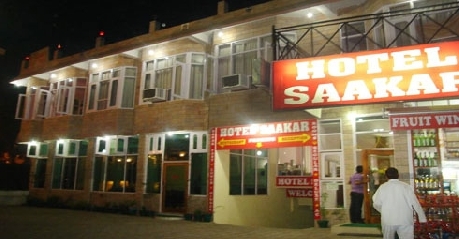 The Sakaar hotel is located bang on N.H 22 which provides convenience for night stay in comfortable and convenient atmosphere. 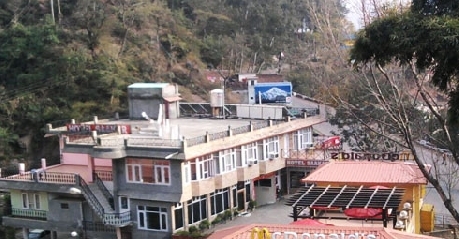 The hotel has rooms with attached bathrooms, telephone connection, room service, laundry service, ample hot and cold running water and doctor on call facility. Parking facility is also available for the convenience of occupants. The location of the hotel is convenient with all basic amenities within reach. Impeccable hospitality services make your stay even more comfortable. Deluxe rooms serve as perfect accommodation for double occupancy. Modern decors with sumptuous move about area are salient to these rooms. Recreational amenity like television is fitted in each room for guests to enjoy in their stay. Room service, doctor on call and laundry service are added facilities. 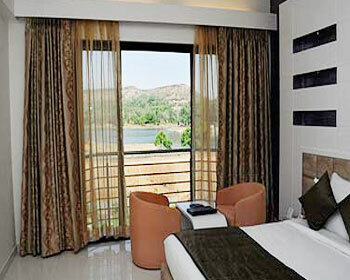 Executive rooms are similar in amenities with difference in décor and furnishing. Much care has been taken to maintain the cleanliness and neatness of the premises which is the highlight of the hotel. A multi-cuisine restaurant serves its guests with breakfast lunch and dinner. Buffer breakfast is available in the morning. The food is freshly prepared for each course and is always served hot to present it in best taste and flavour. On request foods can prepared less spicy and less oily.